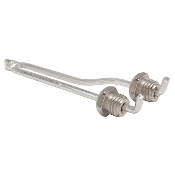 Spare bit for vt-ss10/20/30 - 1/64". 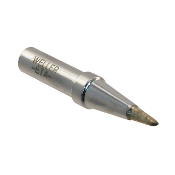 ST8 Weller Soldering Tip WELLER CT6D8 SOLDERING IRON SCREWDRIVER TIP, 3/16" x 4.74M Weller ST1 Soldering Iron Screwdriver Tip 1/16"
Weller ST8 soldering tip for models WP25, WP30, WP35, WLC100. 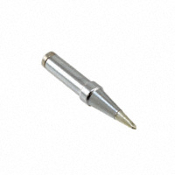 Screwdriver tip, long narrow reach, 0.06" x 1.6mm. For small to medium pins. 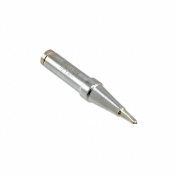 Weller Screwdriver Soldering Iron Tip 1/16". ST Series Tips: Will fit the SP40L/SP40N series irons as well as the WP25, WP30, WP35, WLC100 series tools. Precision ground copper tips are plated with iron, nickel and chromium. 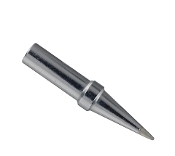 ST1 - .062"/1.58mm wide Screwdriver tip. Tinned with Lead Free alloy.